Charming Reynoldstown home! You will love the covered front porch with swing. 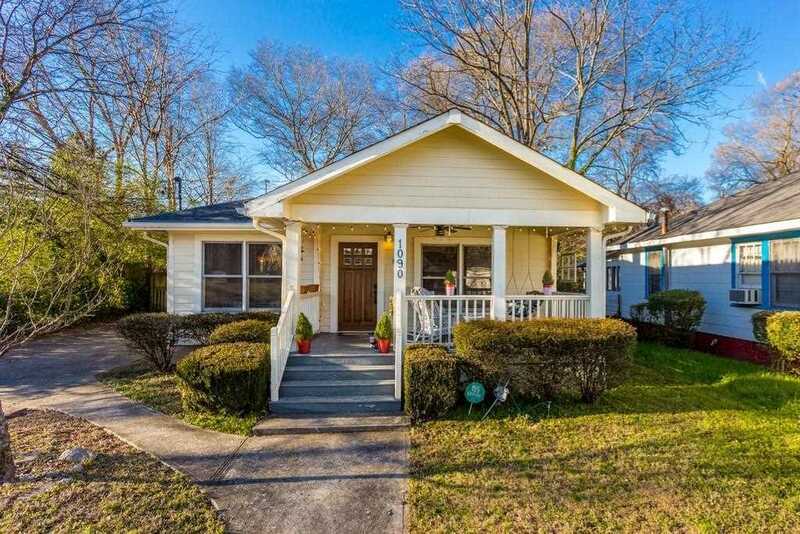 Inside this cozy remodeled home you find lots of natural light & space, as well as hardwood floors, an open floorplan with comfortable living space and two beautiful, decorative fireplaces. The kitchen boasts granite counters and all electric SS appliances. Enjoy the private, backyard with a large deck for entertaining. Convenient and within walking distance to shopping, restaurants & parks. Only minutes from downtown & all it has to offer! Also, easy access to I-20 and the 75/85 connector! Directions:Head North on Moreland Ave NE from I-20. Left on Hardee St NE. Home on Right. SchoolsClick map icons below to view information for schools near 1090 Hardee St NE Atlanta, GA 30307.